Beautiful Dress: Dress ca. 1820, British. 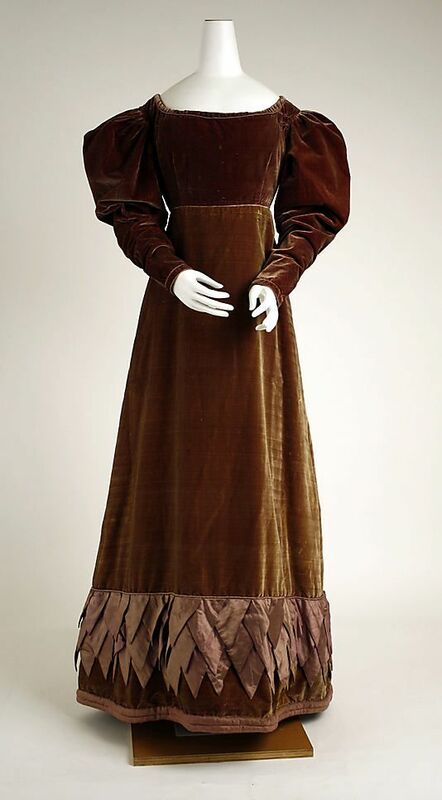 (Probably brown silk velvet with silk shot trim.) - in the Metropolitan Museum of Art costume collections. Dress ca. 1820, British. (Probably brown silk velvet with silk shot trim.) - in the Metropolitan Museum of Art costume collections. Elsa Schiaparelli, 1951. Metropolitan Museum of Art.